Throughout France the grape harvest is getting underway, accompanied by various celebrations and festivals ostensibly to celebrate the new “vendange“. 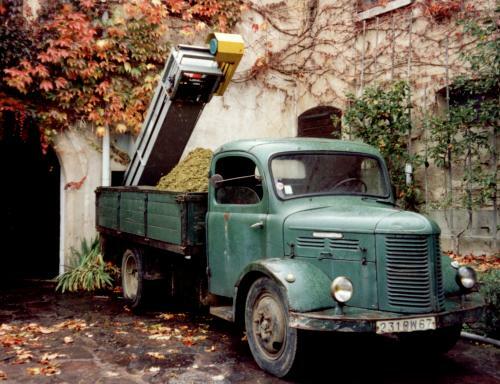 However, it always perplexes me that these diversions occur around what will be the busiest time of the year for winemakers – grape-picking, fermentation and maturation all require much intensive effort over short periods – whereas for the rest of the year fining, racking, cleaning, pruning, spraying etc tend not to have the same urgency and tight deadlines in the way Autumn does. In truth of course it is probably more to do with moving last year’s stock to allow for the new wine harvest – but that may be me being a tad cycnical. In Alsace, Ribeauvillé (68 Haut-Rhin, Alsace-Lorraine) joins the celebrations in July. Riquewihr must be both one of the prettiest villages in Alsace with its half-timbered houses and narrow medieval streets – and home to some of the very best producers (Dopff au Moulin, Hugel, Dopff et Irion). Alsace Riesling and Gewurztraminer tend to be the finest expression of Alsace, but you should not overlook Tokay Pinot Gris, Pinot Blanc or Sylvaner which can be extraordinarily concentrated and delightful. Fête du vin nouveau on 23 and 30 September 2018 at Saint Hippolyte (68 Haut-Rhin, Grand Est) – Typical harvest festival: tasting of new wines and of « tartes flambées », grape-picker’s meal. Folk music entertainment during the two Sundays.